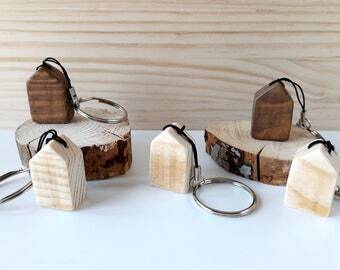 Wooden keyrings completely made and hand-painted. 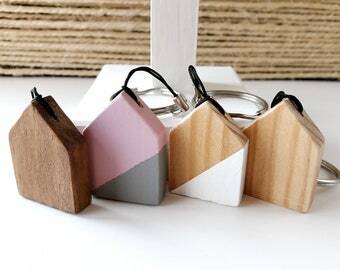 All keychains carry a small Eiffel tower as decoration. 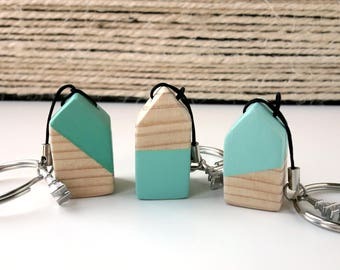 The keychains are painted with chalk paint white, grey or mint (depending on your choice), they also have colorless ultramatte varnish and a layer of wax for greater protection against the passage of time and humidity. The measures correspond to the houses. The cord and the ring add about 5cm to the height of the keychain. 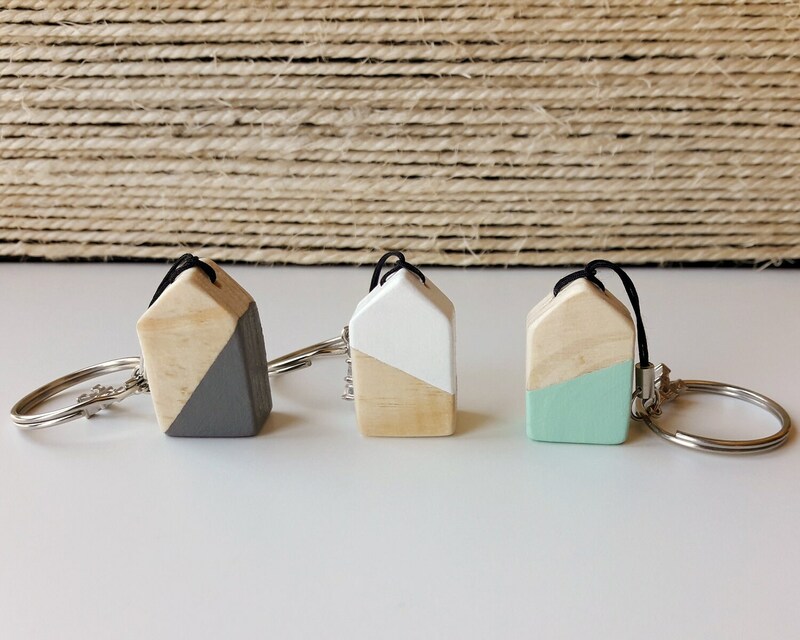 With the use it is very likely that the keychain will get dirty. To clean it slightly moistens a soft cloth and pass lightly. 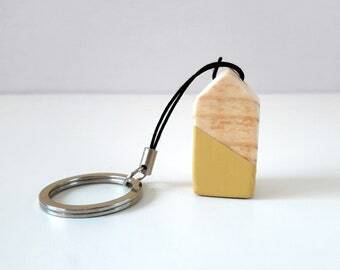 Do not rub too much as you will be removing the wax layer and leaving your keychain more unprotected. If you are interested in buying two or more items from the store please contact me before making your purchase. In this way we will be able to combine the shipping costs to make them as low as possible. 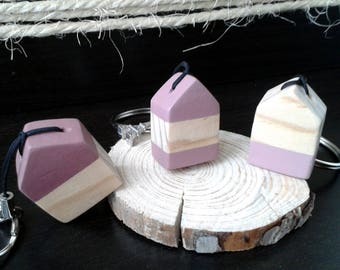 If there are surpluses in the same you will be reimbursed via Etsy. Always remember that the color of the product may vary due to the different calibration of the monitors. If you have any questions or doubts please contact me and I will be happy to help you in whatever. No me pueden gustar más! Millones de gracias :)!! !